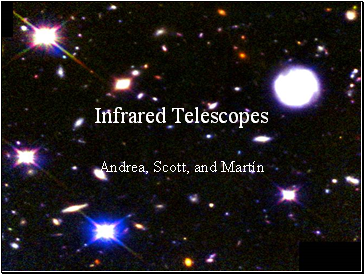 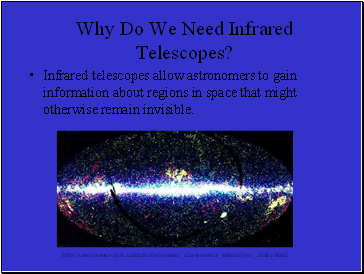 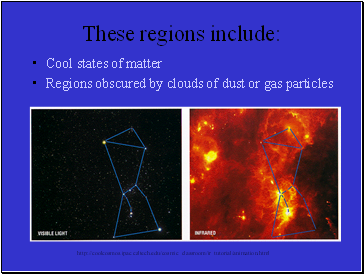 Infrared telescopes allow astronomers to gain information about regions in space that might otherwise remain invisible. 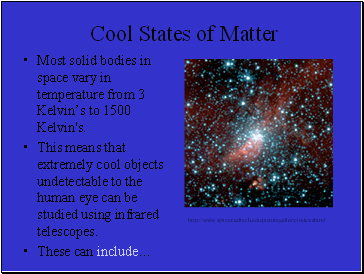 Most solid bodies in space vary in temperature from 3 Kelvin’s to 1500 Kelvin's. 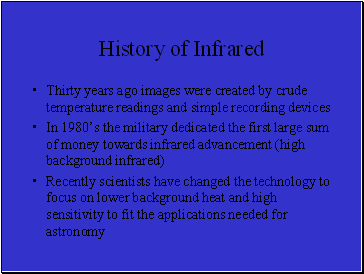 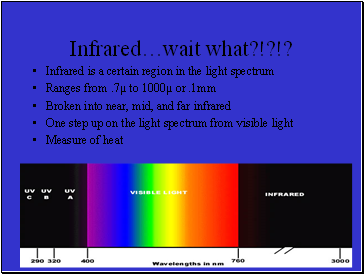 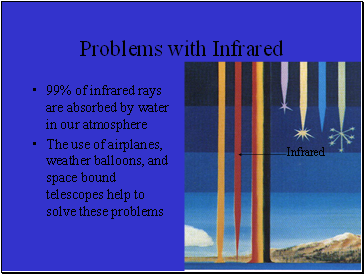 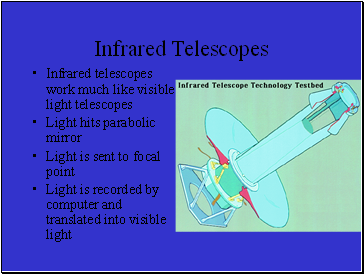 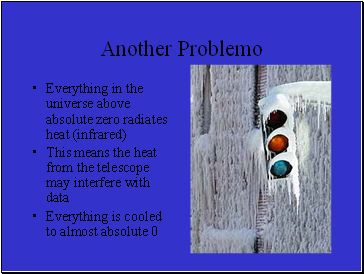 This means that extremely cool objects undetectable to the human eye can be studied using infrared telescopes.